Saving Money Online – Time Well Spent! Shoppers have become extremely budget conscious over the last few years. Almost everyone has had to make cutbacks and savings. What’s interesting is seeing where people have chosen to make these savings. Some have chosen to purchase products from markets and discount stores while others have chosen to sacrifice their annual holiday. One way that many people have minimised the impact that the recession has had on their lifestyle is to fully utilise the money saving power of the internet. Few people realise the true money saving potential of the internet. There are very few exceptions. Whatever you are buying, it’s likely that you will be able to find it cheaper by shopping around on the internet – especially if you know where to look! Those who are prepared to spend some time scouring the web could end up saving hundreds of pounds. Admittedly, searching the internet for the best deal can take a bit of time and effort, but it’s well worth it. Think about it this way; if you are in a job which pays you £15 per hour then even if you have to spend a whole hour scouring the internet in order to save yourself £50 on one or multiple purchases, that’s time well spent. That hour has saved you £50! 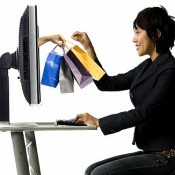 There are many ways to save money online. One of the best ways to save money on the things that you currently enjoy is through daily deals and promotional code websites. Both types of website allow you to save money on every day items as well as luxury items such as holidays and days out. Simply type the name of the product and the word ‘voucher code’ or ‘daily deal’ into one of the search engines and you’ll be spoilt for choice. In most cases this 2 minute task will save you a considerable amount of money. What makes these types of website even more useful is that they also send out regular emails and newsletters to keep you updated on their latest offerings without you having to lift a finger. Click here to find out more about voucher codes.